The Sultanate of Oman is one of the most stable countries in the Middle East. Since the country’s political opening in 1971, the government has maintained constructive relations with all its neighbors, and Oman plays an active role in the Gulf Cooperation Council (GCC). Thanks to the abundance of oil and gas, economic output has tripled since the turn of the millennium, though, with the collapse of the oil price the growth to slow down two years ago. Today, Oman is open to international cooperation, as evidenced by exploration projects with partners such as Shell and Total in the oil sector. In gas processing, the sultanate plans to increase gas liquefaction capacity to meet growing global demand for liquefied natural gas (LNG). The Creon Energy Fund is ready to participate in such projects as an equity partner. That is why a delegation of Creon Capital headed by Chairman Dr. Fares Kilzie on October 28 and 29 visited Oman’s capital Muscat. The focus of the fund’s delegation trip was a visit to the “Gas & LNG Middle East Summit” hosted by Wisdom Events. The high-caliber participants included, among others, the Minister of Oil and Gas, Dr. Ing. Mohammed bin Hamad Al Rumhy and Harib Al-Kitani, CEO of Oman LNG. Both underpinned their commitment to gas processing projects, which should help to strengthen and diversify the country’s economic growth sustainably. Creon Capital Chairman Fares Kilzie expressed in a panel discussion that the Luxembourg Creon Energy Fund will contribute to the necessary investment in LNG infrastructure. 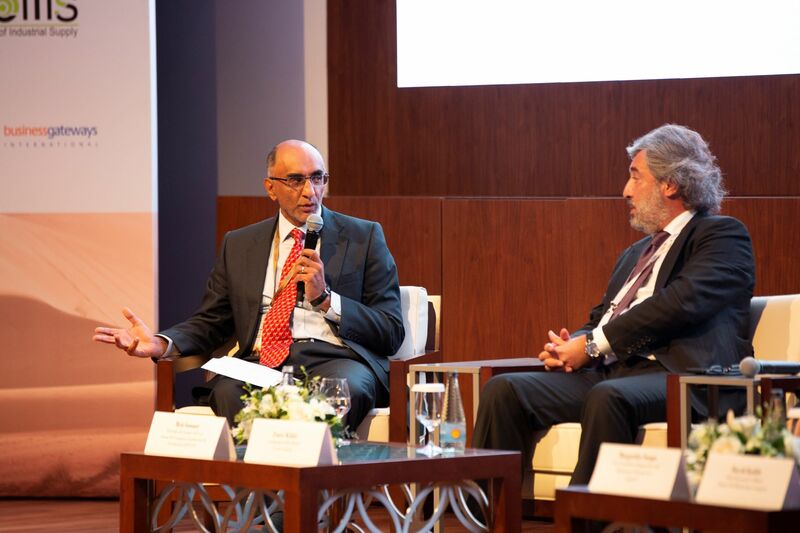 Dr. Fares Kilzie, Chairman of the board of Creon Capital, debating with David Kalife, CEO of Oman Oil Marketing. 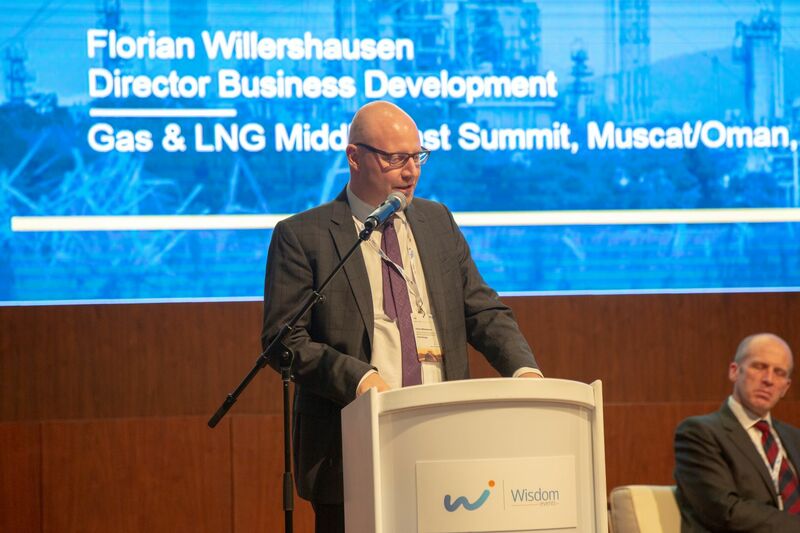 Florian Willershausen, Director Business Development, Marketing and Communications of Creon Capital, speeking on investment opportunities in the LNG sector.